Alan Maund - Ticket Collection - including some rare examples - 27 Tickets . Alan Maund - Ticket Collection - including some rare examples (27 Tickets) . 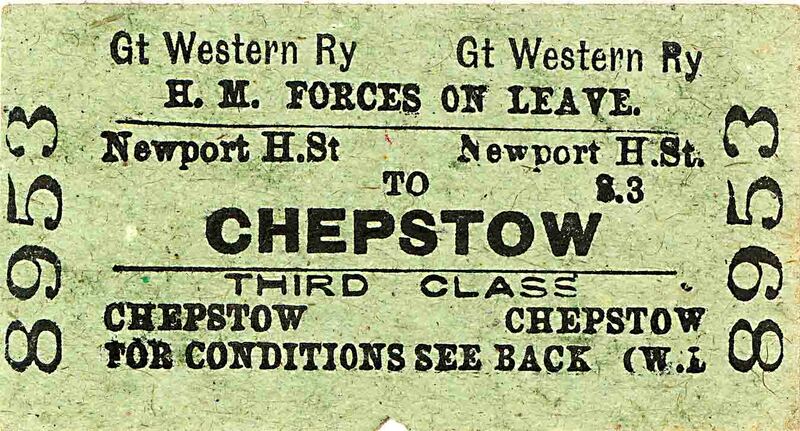 A) GWR - HM Forces On Leave - Newport High Street to Chepstow - Undated. 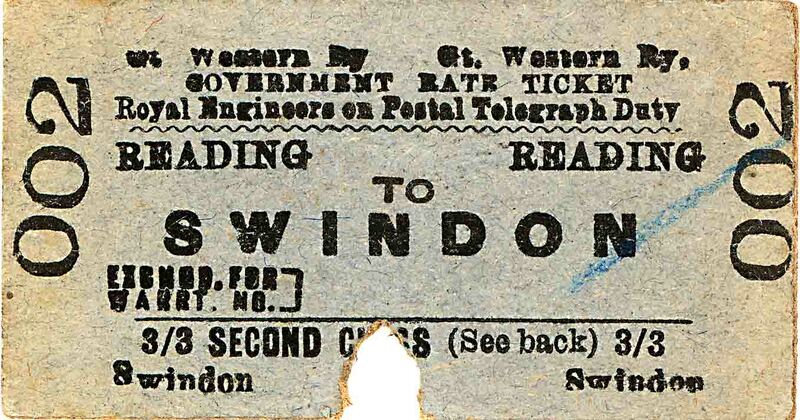 B) GWR - Royal Engineers On Postal Telegraph Duty - Reading to Swindon - Date Unclear. 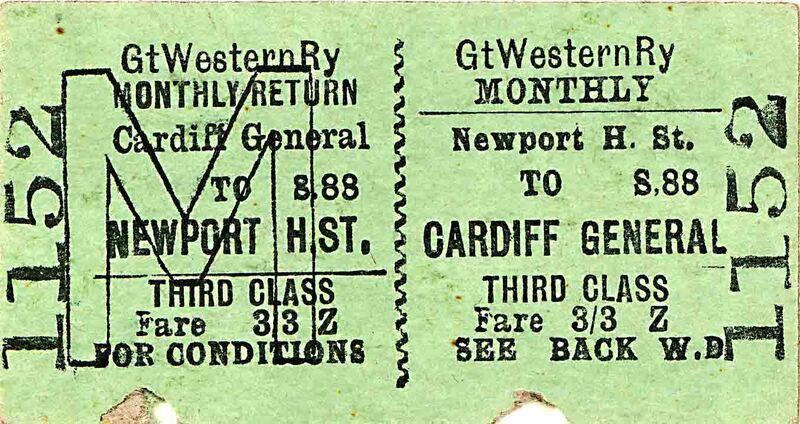 C) GWR - Newport High Street to Cardiff General - Undated. 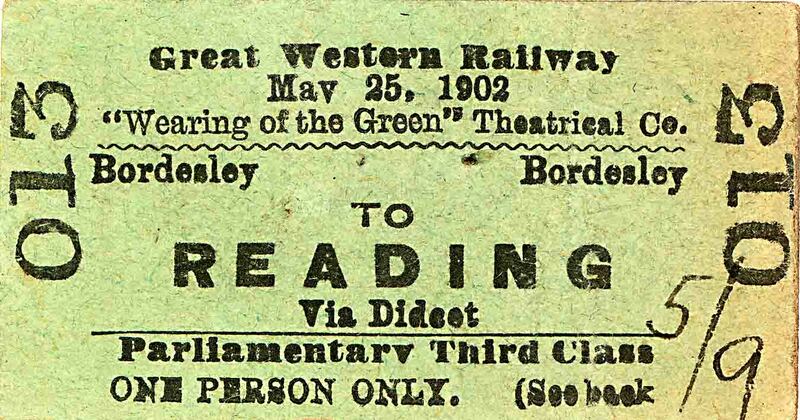 D) GWR - 'Wearing Of The Green' Theatrical Company - Bordesley to Reading - 25th May 1902. 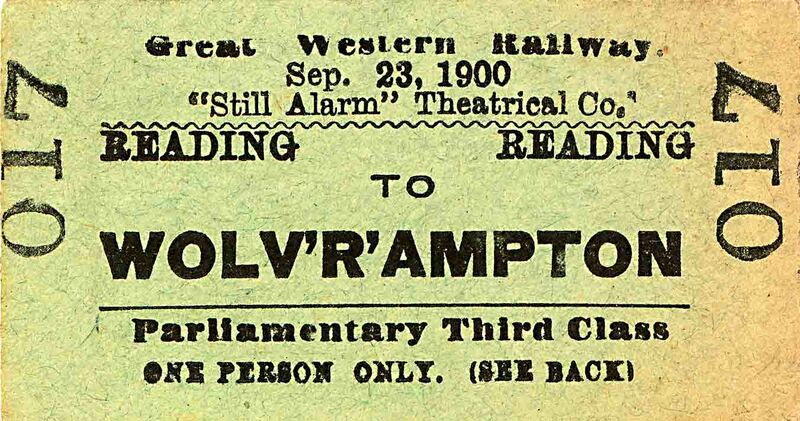 E) GWR - 'Still Alarm' Theatrical Company - Reading to Wolverhampton - 23rd September 1900. 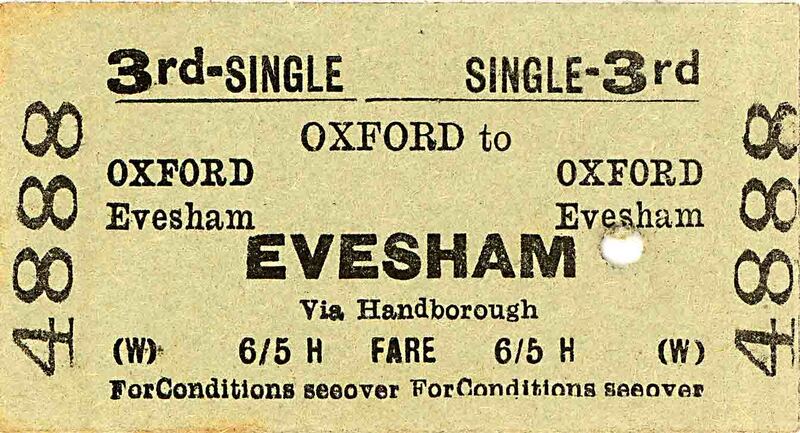 F) Oxford to Evesham - 9th August 1954. 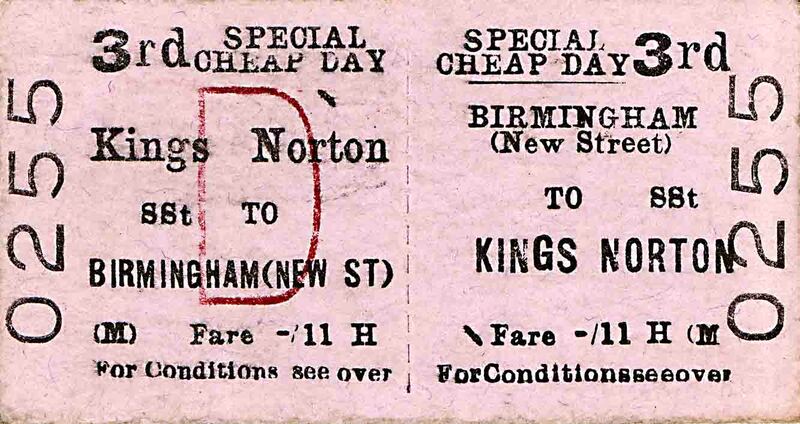 G) Birmingham New Street to Kings Norton - 26th October 1954. 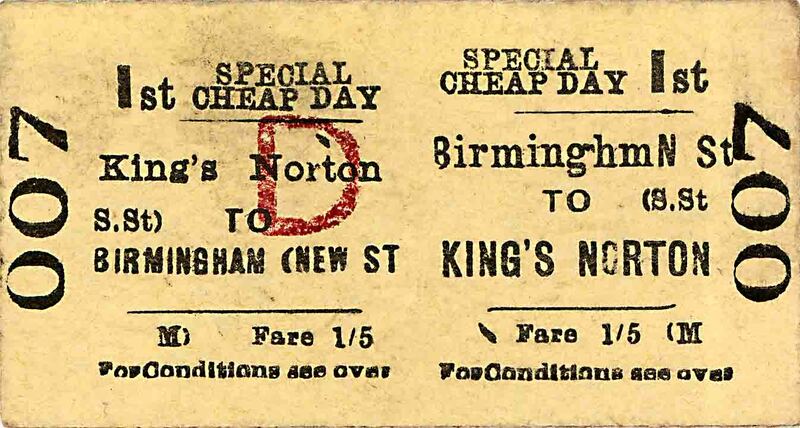 H) Birmingham New Street to Kings Norton - 22nd January 1954. 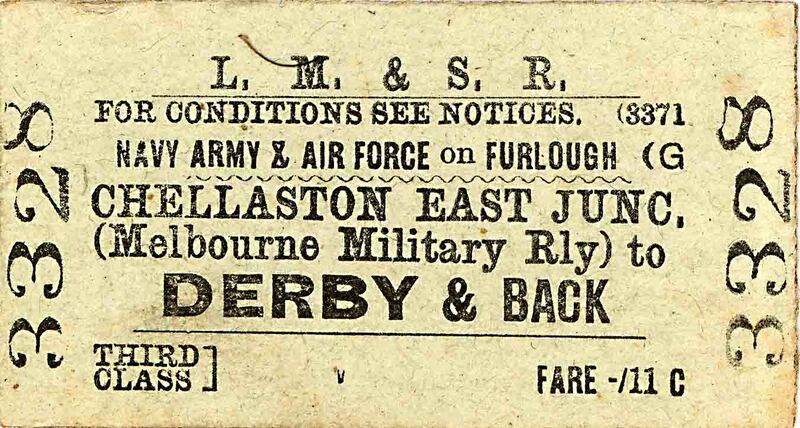 I) LMS - HM Forces On Furlough - Chellaston East Junction (Melbourne Military Railway) to Derby - 19th January 1944. 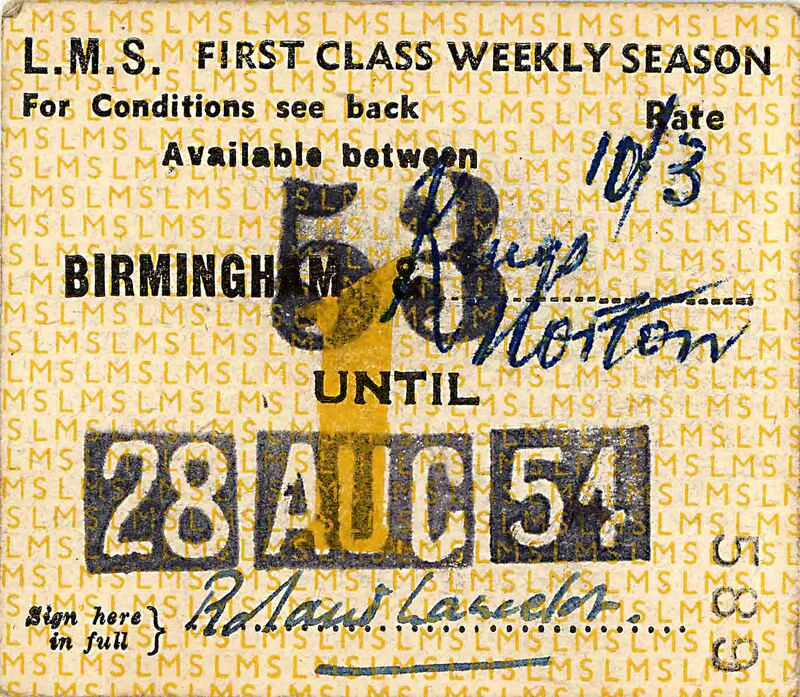 J) LMS - Birmingham to Kings Norton 1st Class Season Ticket - 28th August 1954. 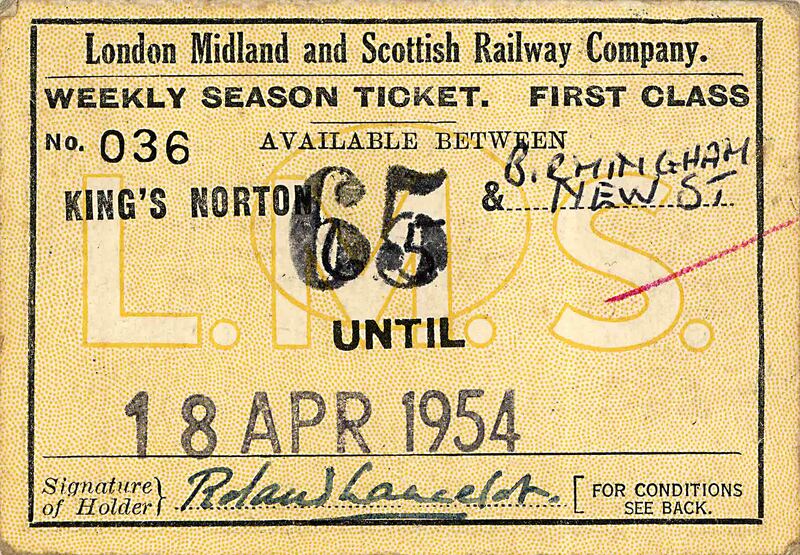 K) LMS - Kings Norton to Birmingham New Street 1st Class Season Ticket - 18th April 1954. 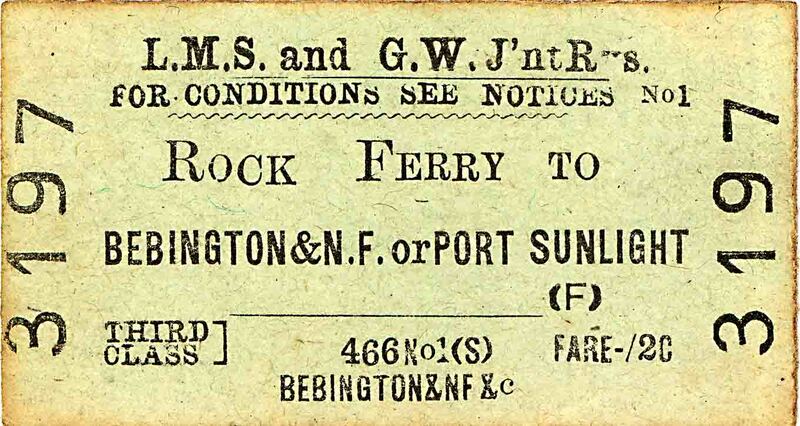 L) LMS & GWR Joint - Rock Ferry to Bebbington & New Ferry or Port Sunlight - 18th October 1944. 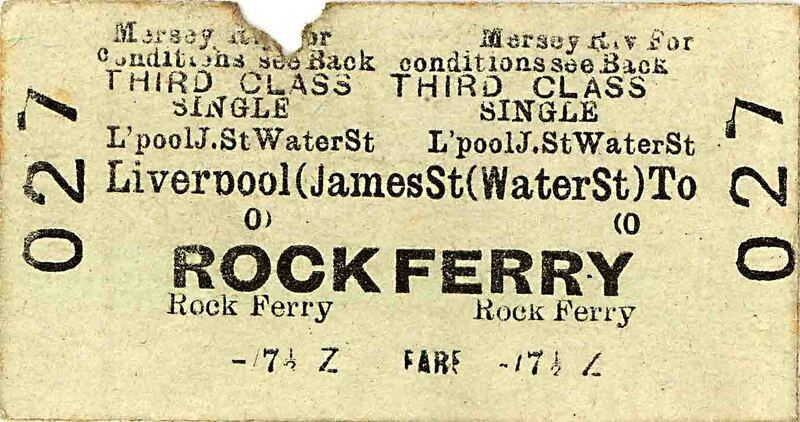 M) Mersey Railway - Liverpool James Street (Water Street) to Rock Ferry - 14th July 1950. 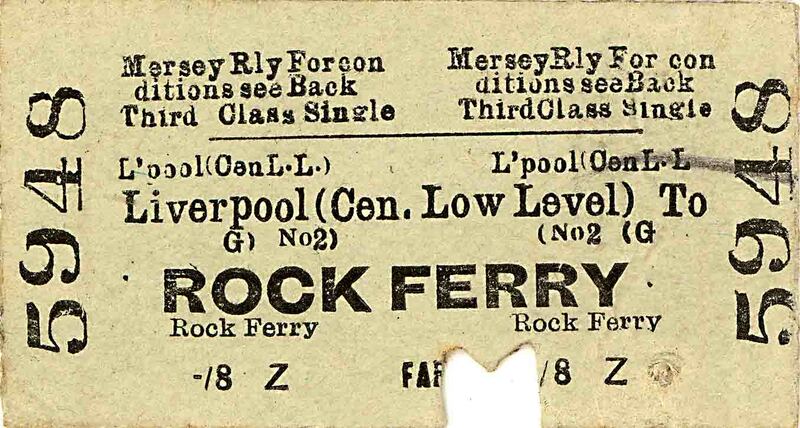 N) Mersey Railway - Liverpool (Central Low Level) to Rock Ferry - Date Unclear. 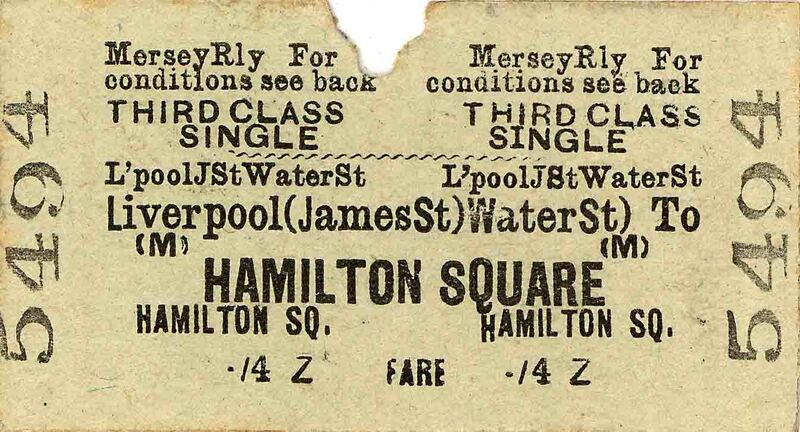 O) Mersey Railway - Liverpool James Street (Water Street) to Hamilton Square - 24th May 1950. 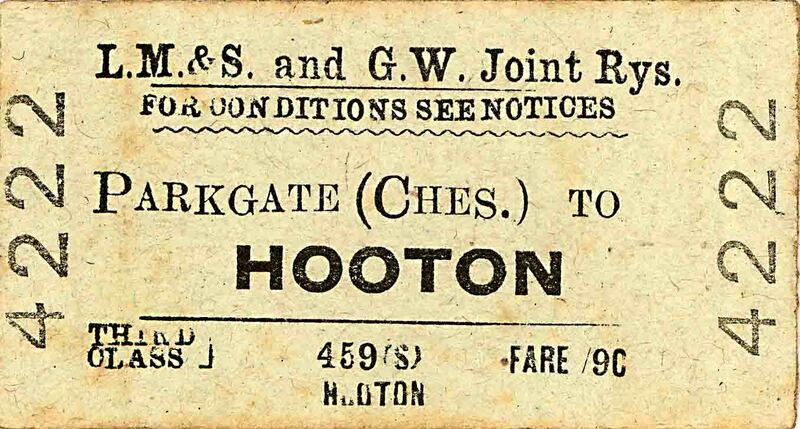 P) LMS & GWR Joint - Parkgate (Ches) to Hooton - 6th October 1945. 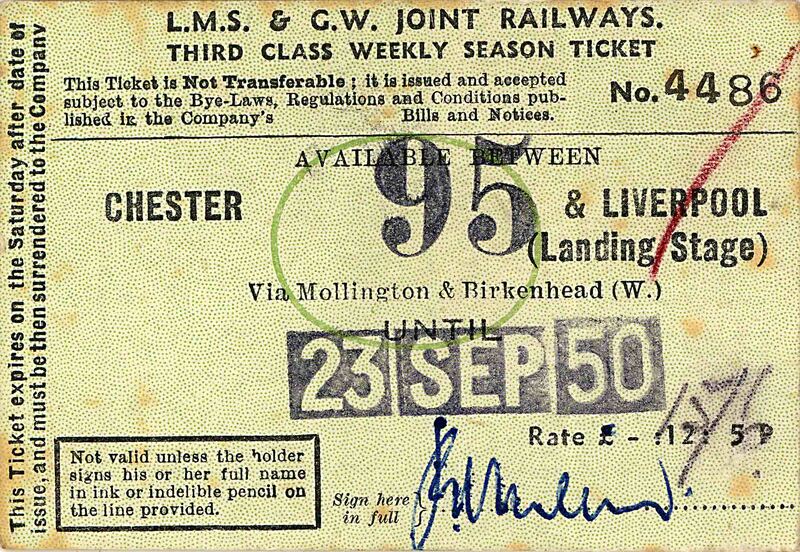 Q) LMS & GWR Joint - Chester to Liverpool (Landing Stage) Season Ticket - 23rd September 1950. 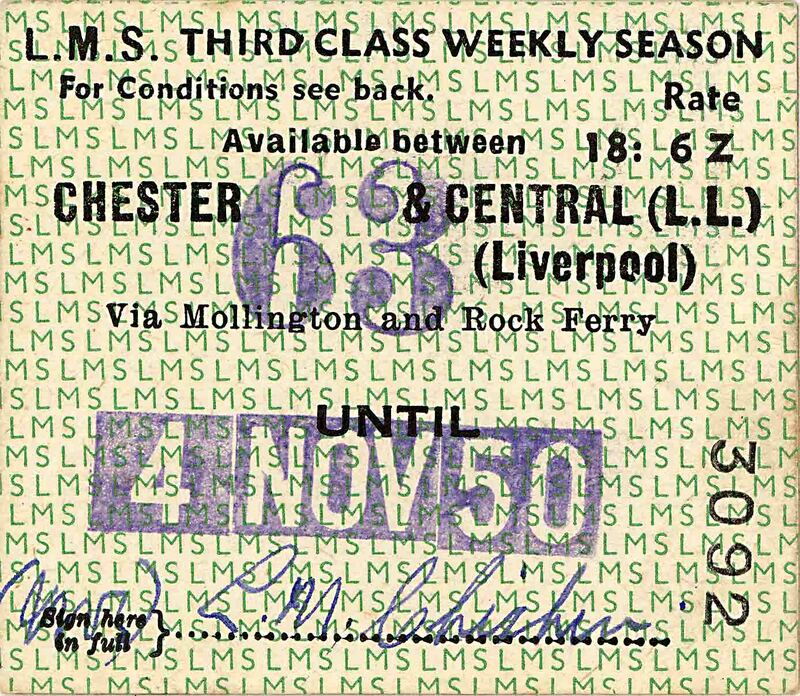 R) LMS - Chester to Liverpool Central (Low Level) Season Ticket - 4th November 1950. 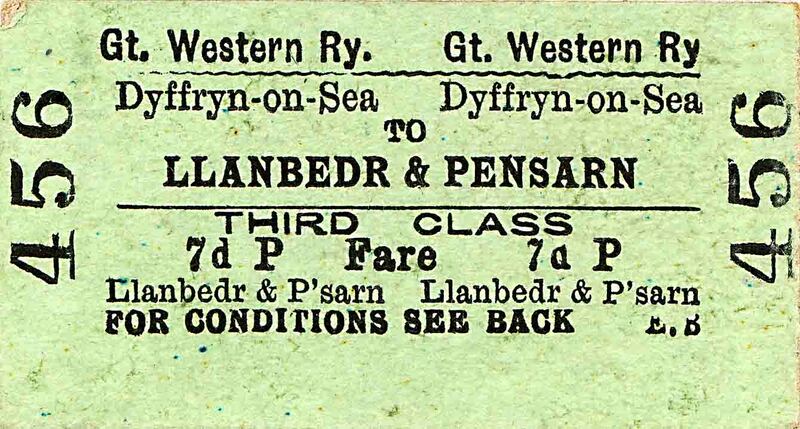 S) GWR - Dyffryn on Sea to Llanbedr & Pensarn - 8th September 1953. 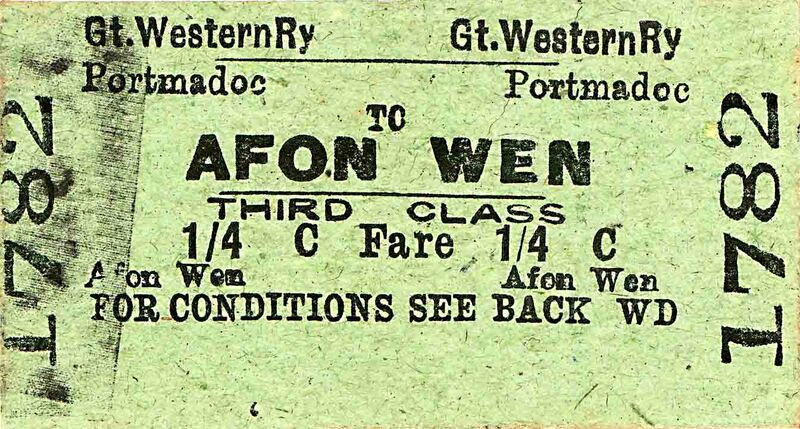 T) GWR - Portmadoc to Afon Wen - 1st September 1954. 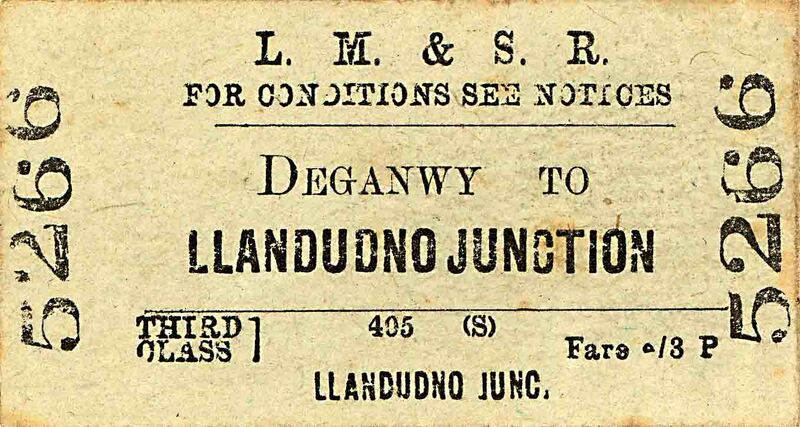 U) LMS - Deganwy to Llandudno Junction - 1st April 1949. 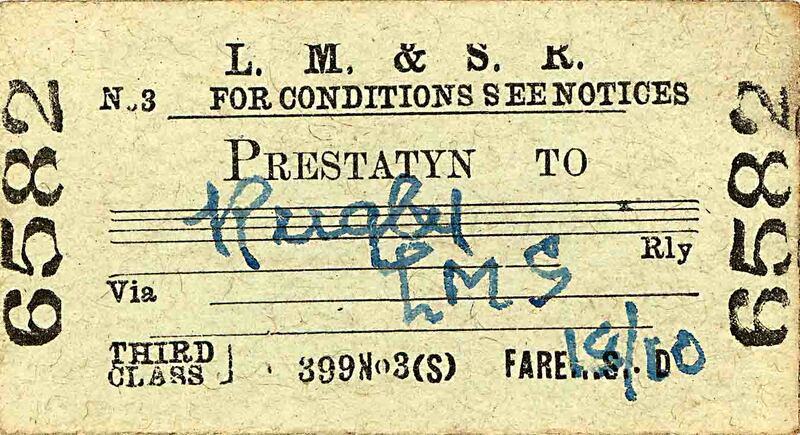 V) LMS - Prestatyn to Rugby - 17th January 1946. 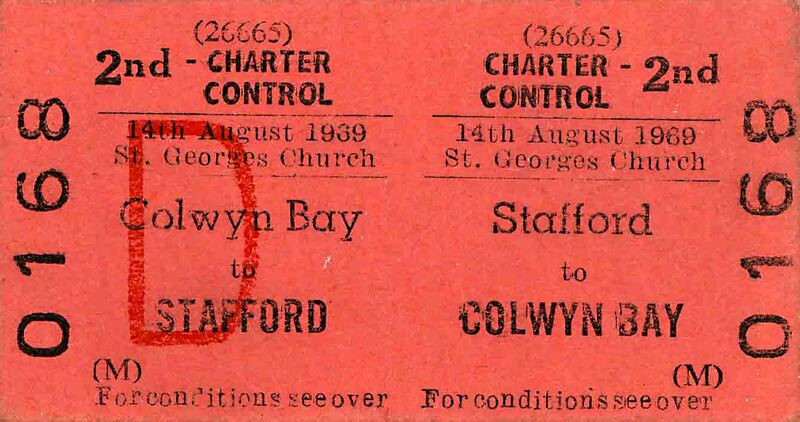 W) Charter for St Georges Church - Stafford to Colwyn Bay - 14th August 1969. 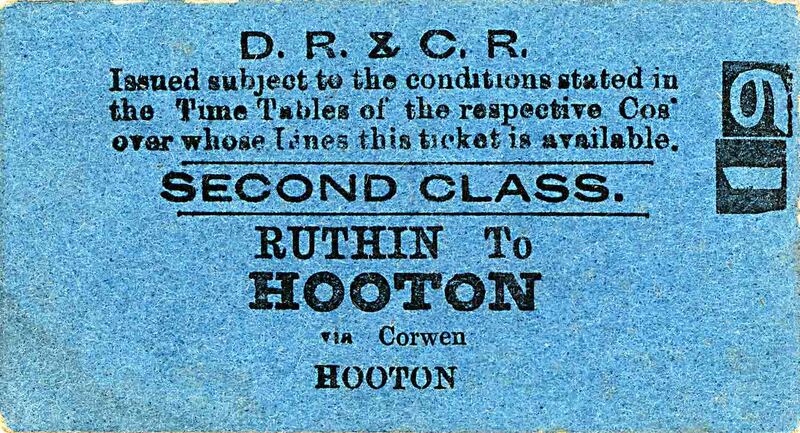 X) Denbigh, Ruthin & Corwen Railway - Ruthin to Hooton -Undated. 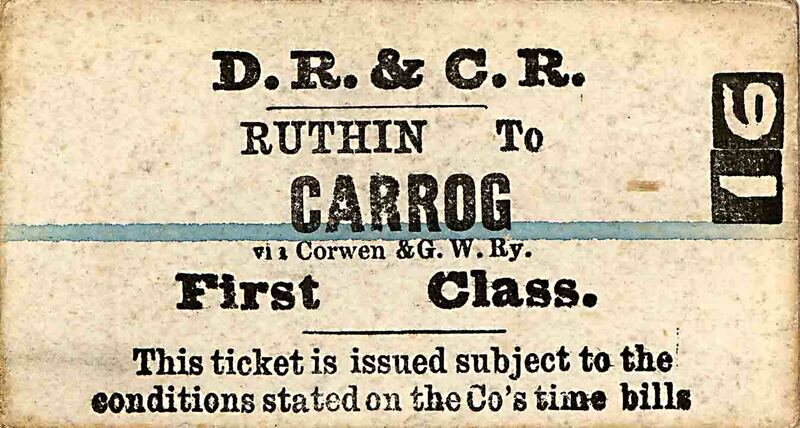 Y) Denbigh, Ruthin & Corwen Railway - Ruthin to Carrog - Undated. 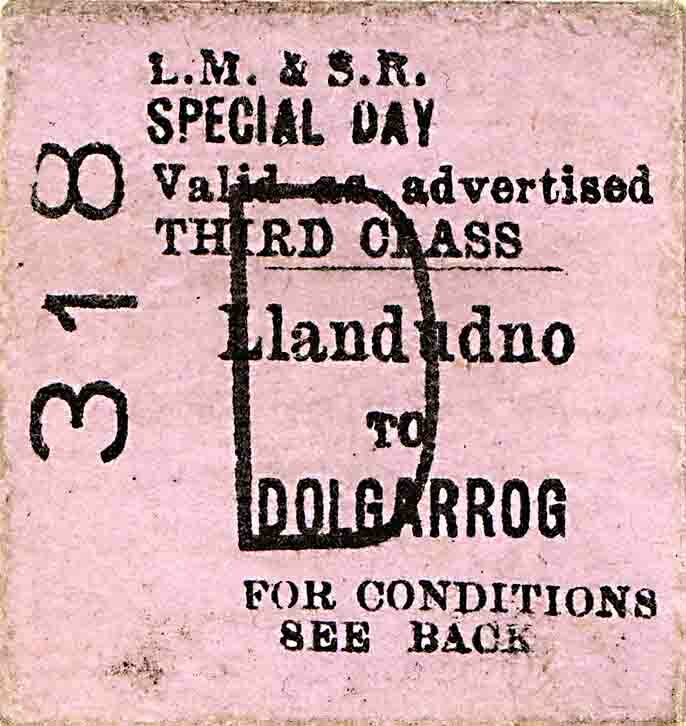 Z) LMS - Llandudno to Dolgarrog - 19th August 1949. A1) - Great Northern Railway (Ireland) - Enniskillen (GNR) to Glasgow (Caledonian Service) - Undated. Website design by ReZolve. An SSIDM website - v2.9.008c . Loaded in 0.0313 seconds.